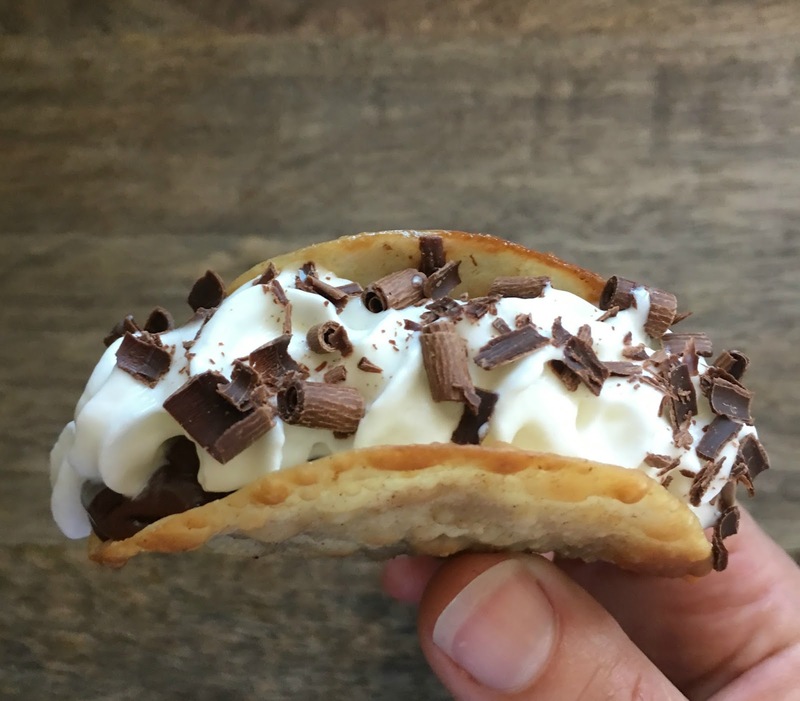 What do you do when Taco Tuesday and Pi Day collide? 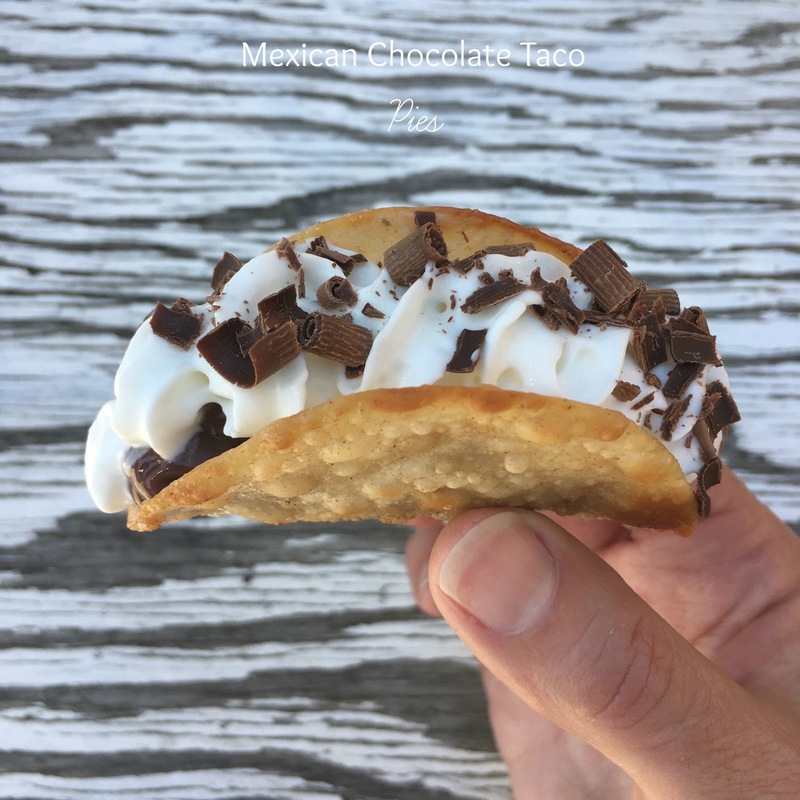 You make Mexican Chocolate Taco Pies of course! 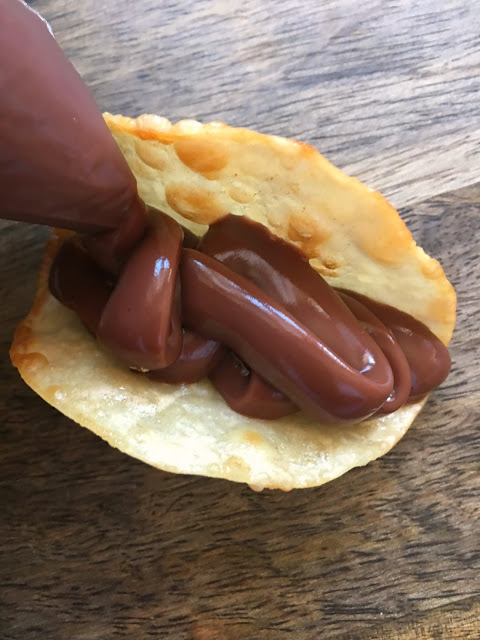 These are actually easy as PIE to make and so much fun for any fiesta. 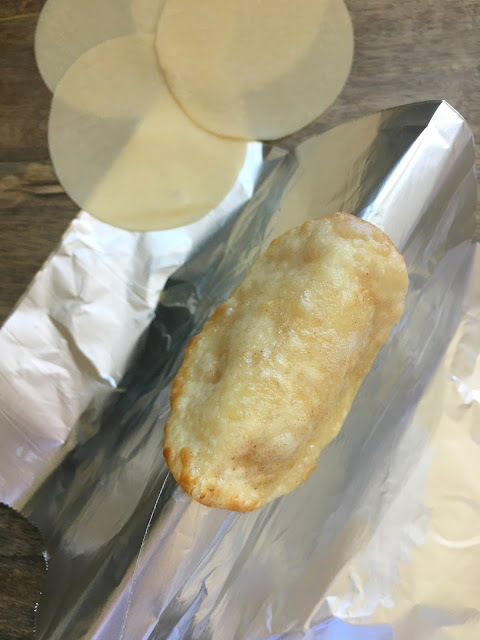 For taco shell pie "crust"
-You'll need package of round won ton skins, available at most grocery stores in refrigerated produce section - I used mini ones but you can use the larger egg roll size as well and cut into rounds (use a bowl, place upside down on skin and cut around with a knife). -tent a small book with rounded spine and cover with foil. -heat a teaspoon of butter in a small sauce pan over medium heat. One at a time, lightly fry the skin until it starts to brown, turning over as soon as first side browns. It will take less than a minute for them to be ready. Once it is brown but still pliable, remove from heat and quickly place over foil covered book. 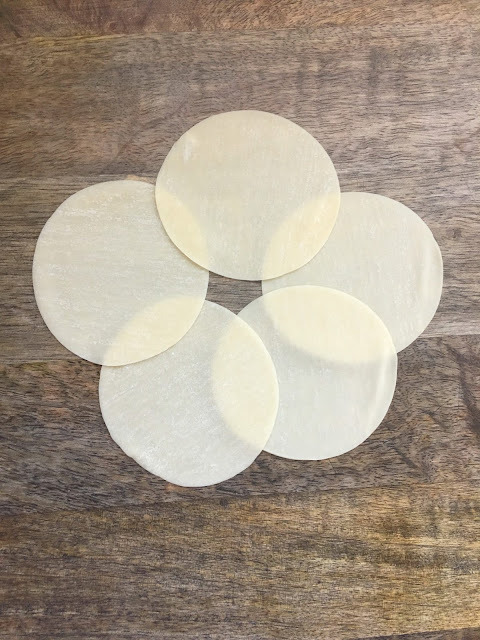 Use a paper towel to help mold over into "taco shape". Let cool a few minutes and you are ready to fill. -honestly the easiest chocolate filling is a high quality pudding mix but we use Petit Pot Dark Chocolate Pot de Crèam. 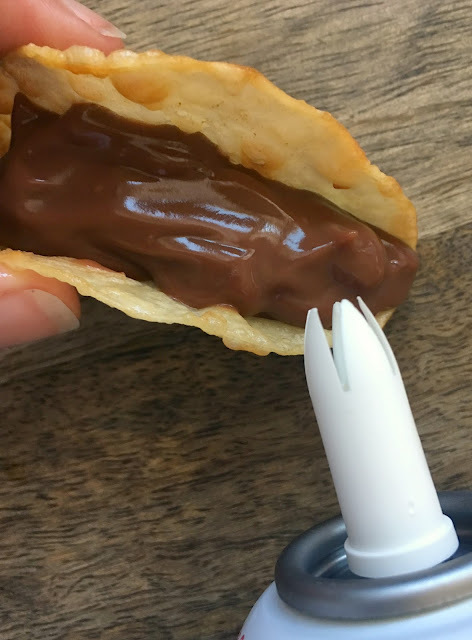 You can either spoon it in or pipe it with a ziploc baggie. 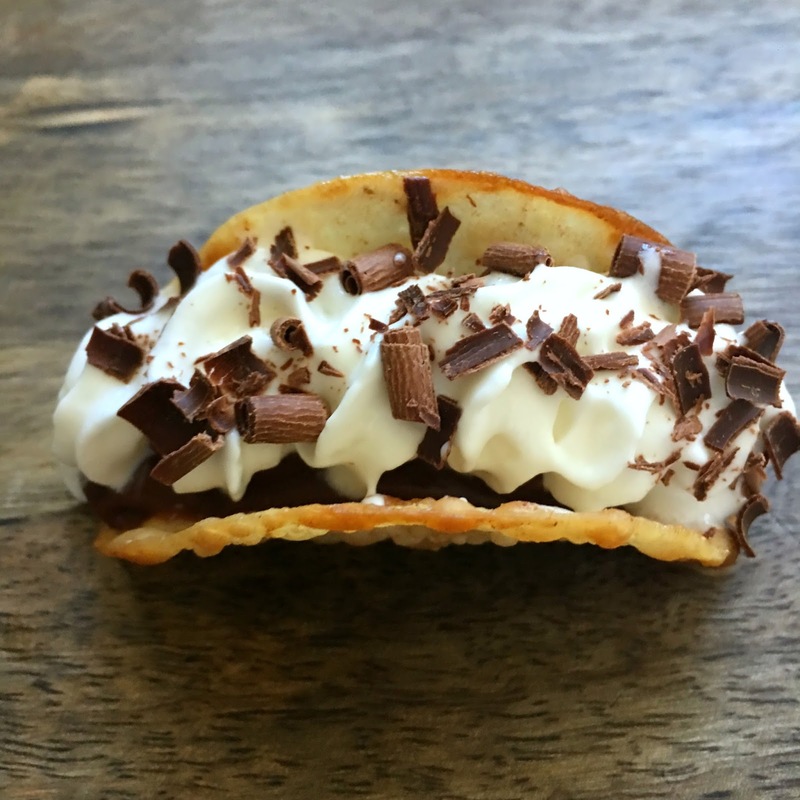 -then top with whipped cream and shaved Mexican Chocolate.